Before we started to share our ski event, we would like to take this chance to introduce our city Dalian to you. Dalian is a major city and seaport in the south of Liaoning Province, China. It is the southernmost city of the Liaodong Peninsula. Dalian is the province's largest city and has sub-provincial administrative status.The Shandong Peninsula lies southwest across the Bohai Strait and Korea lies across the Yellow Sea to the east. Today, Dalian is one financial, shipping and logistics centre for Northeast Asia. Besides, Dalian is a popular destination among domestic tourists and foreign visitors, especially from Japan, South Korea and Russia.Its mild climate and multiple beaches as well as its importance in the modern history of China have attracted tourists. Some of the most famous beaches are Jinshitan Golden Coast (金石滩黄金海岸) beach, Fujiazhuang (付家庄) beach, Bangchuidao(棒棰岛) beach, Xinhai Park (星海公园) beach, Xinhai Bay (星海湾) beach, and Xiajiahezi (夏家河子) beach. In 2007, it was one of the three cities named "China's best tourist city", along with Hangzhou and Chengdu, recognized by the National Tourism Administration and the United Nations World Tourism Organization. Every year we hold a few outdoor events for our company employees such as summer BBQ at the beach and Winter Ski. 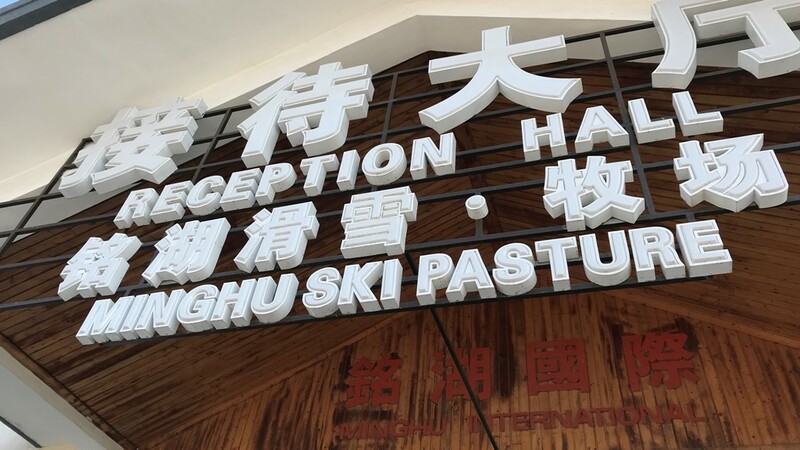 This year 2018, we had our ski event at Minghu Ski Pasture which is also located in Dalian, just about 60 kilometers away from our office. In fact, this resort is not just for ski, it is also famous for its hot spring. Ski is said to be one of the top 10 dangerous sports, but to us, it is far more than ski. We enjoyed so much fun together skiing by helping each other skiing safely, especially for the beginners. Here are some great shots that we took during our ski event. While some were in the ski event, others were enjoying hot spring in this Minghu Resort. At night, we had a dinner party at a hotel near our office and everyone was so tired and hungry after this ski event, but we still had so much fun together as we are more than just company co-workers, we are more like family members in this company! Together we are Strong!